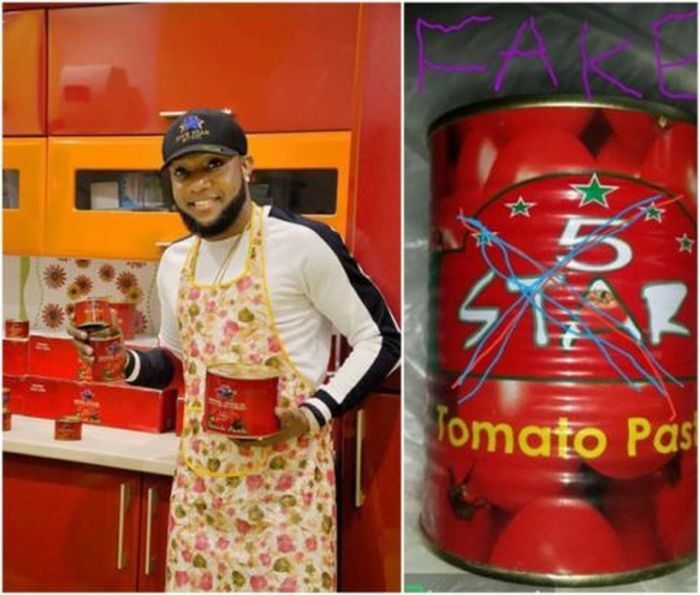 Five Star act Kcee has finally reacted to the harmful news circulating about his FIve Star Tin Tomatoe paste brand. The Attention of Five Star Group of companies have been drawn to fake and malicious stories circulating on social media about our ‘Tin Tomato Paste’ brand. We wish to state clearly that the said product circulating does not belong to the FIVE STAR GROUP. It is fake and the hand work of imitators and social miscreants. Our original product is NAFDAC certified with the famous NAFDAC logo boldly imprinted on it. This has been taking up immediately and the relevant authorities will get involved. We remain committed to providing the best quality products that meet international standards to our customers. Thanks for your continued patronage and have a very Merry Christmas.